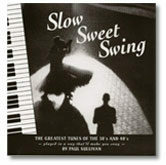 All of our available recordings and sheet music titles are listed below. We offer 20% discounts on orders of $50.00 or more, and flat shipping rates. 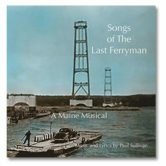 Our latest recording, Songs Of The Last Ferryman, is $20. and includes a 40-page booklet. All other CDs are $15.00 each. Online payments via PayPal (with credit-card payment option available on checkout page) or mail in a Check or Money Order after checkout. Shipping costs: $5 for orders less than $20 and $8.50 for orders over $20. Delivery is via US Mail. Faster delivery is available — call for arrangements. The Last Ferryman is a musical for which I wrote the music and lyrics. 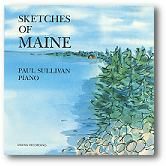 It tells the unlikely story of the building of a bridge on the remote coast of Maine in the 1930’s. But what that unlikely story reveals is the universal drama of a community undergoing massive and permanent change. 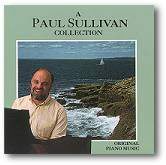 These songs tell the story, portray the characters, and awaken your emotions through an extraordinary range of musical styles, from Gilbert and Sullivan to contemporary Broadway, all with the unmistakable Paul Sullivan “accent”. 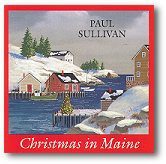 The lyrics are sophisticated, the singers are perfect, and this CD belongs in your music library! Christmas is a time of new life, of stars rising and angels singing. 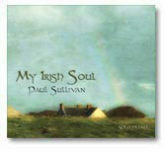 On this CD you will meet a rising star with a voice like an angel. At 16 years old Rosie Upton is establishing herself as a leader in a new generation of music makers. 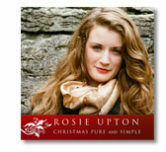 No tricks or gimmicks, just an outstanding young artist singing 20 great songs of Christmas. This is romping, rollicking music that swings like crazy. If you like jazz, we guarantee that you will be delighted. All the songs are original compositions, so even though they are jazz songs, they still have Paul’s familiar “voice” running through them. 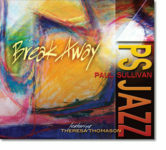 Paul even wrote four vocal songs for the CD—both music and lyrics—featuring singer Theresa Thomason. 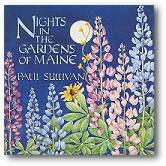 This CD also stars bass player Eliot Wadopian (a two time Grammy Award winner), sax and flute player Paul Lieberman (one of Paul’s closest friends for almost 30 years), two swinging percussion players and good friends, Bill Friederich and Seth Kearns, who provide the elegant “motor” that drives the band. The ensemble is known as “PS Jazz,” and they bring life and beauty to the music with every phrase they play. Winner of a National Indie Award. 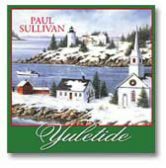 This album combines fresh new arrangements of old favorite carols with some of Paul's most beautiful compositions yet. 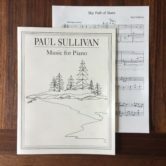 From the rollicking Joy to the World to the hushed mystery of Silent Night, Paul's piano, along with cello, flute, and percussion, goes right to the heart and soul of Christmas. Filled with warmth, humor, and peace. 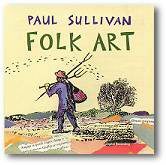 This album is a great introduction to Paul's work. It contains selections from all of the preceeding records, and was recently rated “Best of Its Genre” by All Music Reviews, the Internet reviewing system. Here are eleven of the loveliest songs ever written; songs which truly define the word “romantic.” Played here on piano with just a touch of bass and strings, they're sophisticated, slow, soft, and smoldering. So turn down the lights, get comfortable and surrender to that Slow Sweet Swing! Songs include: As Time Goes By, It Might As Well Be Spring, Someone To Watch Over Me, Every Time We Say Goodbye, Thanks For The Memory, and four others. 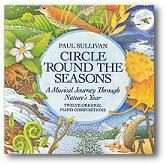 Take a musical journey through a year in nature. 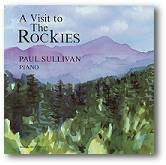 From a sparkling May morning to the howlings of a January blizzard, Sullivan’s music captures the poetry of the changing seasons with breathtaking accuracy. Music that will awaken your own feelings about the journey we all share; our annual great circle around the sun. Finally, FINALLY, we have more sheet music for you! I have been promising this to many people for years now, but never seemed to actually make it happen. I arranged them with the goal that they would be simple enough for an advanced beginner pianist to play. And for more advanced players, they provide all the musical information you need to embellish them to your heart’s content. Ten titles are included.